Interview with photographer Dane Shitagi, creator of the Ballerina Project. The Ballerina Project is a beautiful assemblé of photographs with a single theme: Ballerina. While admiring them, I can’t stop wondering how an artist alone could create so many images with the same focus without wearing its lyricism out. Was Degas that good? I’ve decided to go and find out the roots of the vivid inspiration behind every single picture of Dane Shitagi’s Ballerina Project. LILA: Dane, your Ballerina Project highly captures the spirit of “being a ballerina” and its universal inner underlying. Ballerinas themselves can hardly explain it in words or show it on stage. How did you do that? DANE: I tried to take pictures of the ballerinas – not of their dancing. I tried to stay focused on the dancers – not on their poses. I tried to portray their souls – not their steps. Ballerina Project is more about the dancer than the dancing. As photographers we often try to capture “momentums” of the dancing without really acknowledging the obvious: the camera is not exactly the best instrument to do it. The camera can only take stills of something that is in its essence a flow. LILA: How do you know ballerinas? What do you know about ballet? DANE: I’m not a dancer. I’m not an expert of ballet either. Though, I’ve been working on the Ballerina Project for eight years now and, in a way, I became a student of it; I developed sensitivity for it. I befriended dancers and learnt from them just by being around them. LILA: How did you pick up this muse called Ballerina? From your portfolio I saw that you take fashion pictures like any other “normal” photographer in NYC. Why did you decide to dedicate such an amount of energy to the Ballerina Project, at some point? DANE: I picked it up for simple reasons: its grace and beauty. I’m also an admirer of the life commitment of ballet. You can pick up a camera and become a photographer later in your life, but you cannot do the same for ballet; you cannot become a ballerina “at some point.” It just takes a stronger and longer commitment. LILA: No studios and no stages in the Ballerina Project. 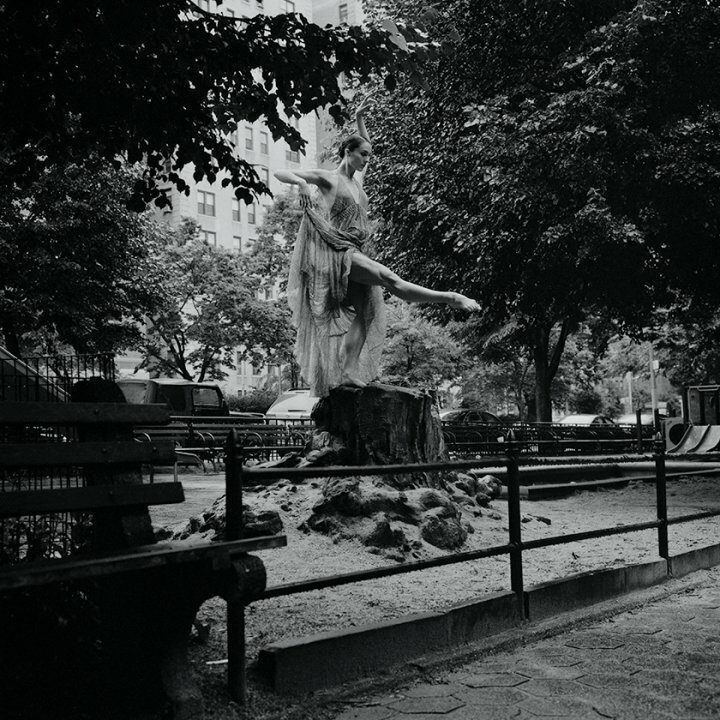 Everything’s been shooting in New York City, from its streets to its parks, from its rivers to its tiny apartments or larger lofts, from its most hidden corners to its major crossroads. You definitely have a connection to The City, don’t you? DANE: We don’t live in a studio or on a stage; we live and fully display who we are in various environments – ballerinas included. In our environment there’s so much beauty and depth intrinsically connected to our personal depth and beauty. 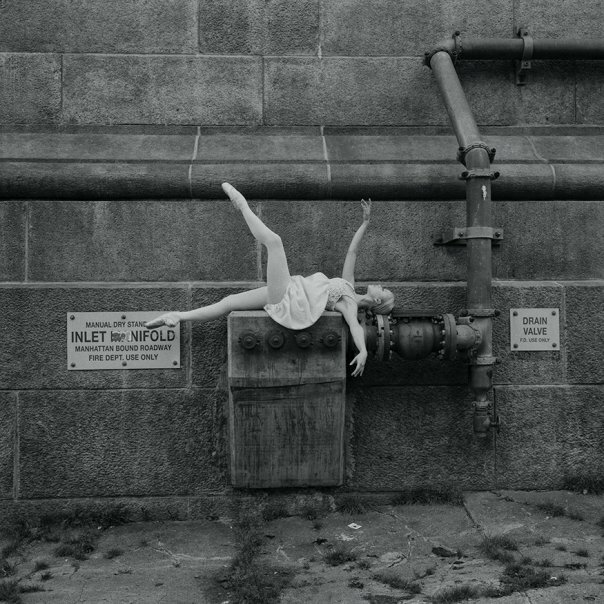 The ballerinas have been portrayed in their city just to capture the beauty they reciprocally give each other – a connection that is not always visible, if we think in terms of separation. LILA: How can I get one of these images? Are they purchasable? DANE: Yes, I can print and send you the pictures in different sizes. For any order, my email address is listed under Info at the Ballerina Project. LILA: I will! The selection process just takes some time though, in such a huge collection. It’s even hard to decide which photo is in and which one is out for this interview. By the way, any “all inclusive” book coming out soon with all the pictures? DANE: Maybe by the end of the year I’ll find a major publisher for a second book of the Ballerina Project. LILA: Nice, so I can have them all at once! Thanks for your beautiful work, Dane! All images by Dane Shitagi at Ballerina Project. I love it!! !great job lilli,great pics Dane! !